From 2003 to 2004 he studied at Ateliers Beaux-Arts Site Glacière in Paris, France. 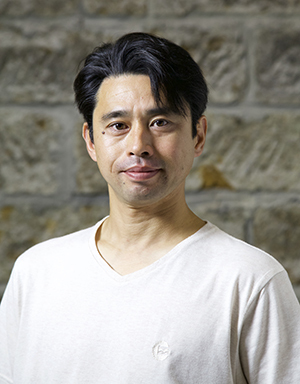 He served as a part-time lecturer at the Tokyo University of the Arts Faculty of Fine Arts (Department of Sculpture) between 2008 and 2013. Since living in Toride City, Ibaraki prefecture since 2014, he continues his creative activities. So far he held a solo exhibition regularly with Takashimaya Nihombashi Store, Gallery Seiho Ginza, Nihonbashi Mitsukoshi Main Store. He is developing works abroad, including local production in Turkey, exhibition in Mexico and South Korea. So far he has set up many works in public places, such as Nijusanyason Keiganji temple, Ibaraki, Airport Security Business Center, Tokyo, Park Tower Shin-Kawasaki, Kanagawa. In 2003 she prayed “Dvorak Cello Concerto” at Hitachinaka City Cultural Center, Ibaraki with Hitachinaka Citizen Orchestra. In 2006 she played “Haydn Cello Concerto No. 1” at Mito City Municipal Hall, Ibaraki with I Solisti Ibaraki Chamber Orchestra. 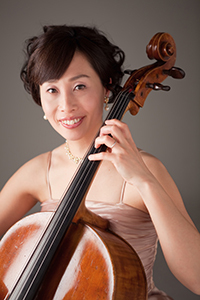 In 2007 she played “Saint Saens Cello Concerto” at the Prefectural Cultural Center, Ibaraki with the Ibaraki Symphony Orchestra. In 2004 she participated in music recording the film “Dissonances” screened in France. She many also appeared in performance such as “Lion King” in Shiki Theatre Company between 2007 and 2011, “Death Note” in Nissey Theater in 2015 as musical cello player.